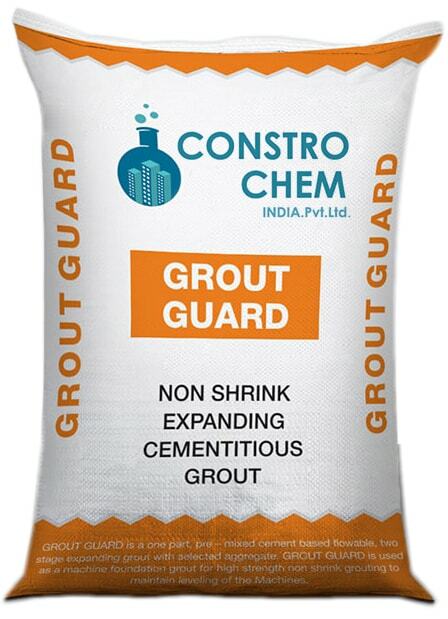 A one part, pre-mixed cement based flowable, two-stage expanding grout with selected aggregate. 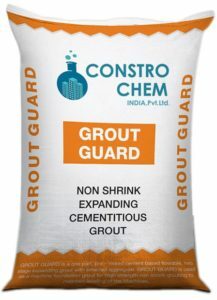 Construction grout is used as a machine foundation grout for high strength non shrink grouting to maintain levelling of the machines. It is also called as Grout Guard. To grout bearings, machine foundations, columns joints in precast construction etc.